Chinese mothers tell Xinran about their abandoned daughters. 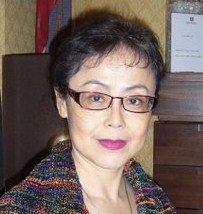 Chinese novelist and journalist Xinran continues her work that allows the voice of women in China to be heard. With her latest book, “Message from an unknown Chinese mother “(1), she deals with energy and empathy with a huge taboo: women who abandon their daughters for adoption in Europe or the United States. Meeting in Paris with a commited Chinese woman. In Nanjing, a famous radio programme.